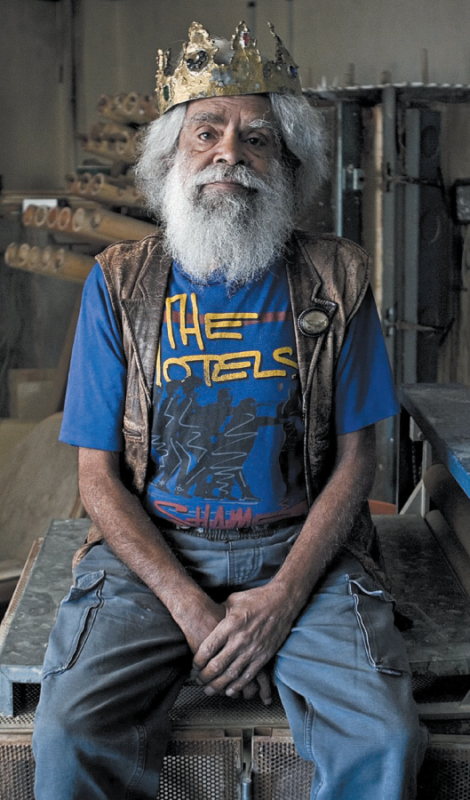 Jack Charles, a child of the Stolen Generation himself, doesn’t pretend to have all the answers but infamously known as a cat-burglar, drug addict and criminal the Ab­original elder, more popularly known as ‘Uncle Jack’ has an artistic and community ori­ented history that few can com­pete with. And he has his own plans of what would be the best way to say ‘sorry’. Founder of the first rec­ognised modern Aboriginal theatre company Nindethana Uncle Jack has been a pioneer of the Black Theatre Movement since its inception and his pro­lific career has included a range of performances both on and offstage. Following the recent success of Jack Charles vs the Crown (which featured at the 2010 Melbourne International Arts Festival and is currently on tour) the dapper gent turns his attention to an upcoming event of national significance: Sorry Day. The respect and admira­tion go both ways, for Charles sees Wulgunggo Ngalu (which means in the local language “together learning”) as an ideal model upon which to base his own Nindeebiya program. The facility in Gippsland is cur­rently run in conjunction with the Department of Corrections for Aboriginal men who have come into contact with the justice system and who need to fulfill community based or­ders. What makes this facility different is its strong cultural component that focuses on strengthening cultural identity, carrying out men’s business, including the opportunities for dance, making artefacts and the strong cultural environment in which Aboriginal men are given the opportunity to recon­nect with their Aboriginality. Sorry day is a national event of significance at every level. For both Charles and Braybrook, saying Sorry was certainly a step forward but there is much to be done for the Indigenous communities of Australia. ← Forget planes, trains or automobiles- cycling and walking are back!